Do you want your next vehicle to be in excellent condition, but it's not in the budget to get a new vehicle? Then visit INFINITI of Clarendon Hills and browse our large selection of %%di-makes%% certified pre-owned vehicles. All of our certified INFINITI cars are thoroughly inspected and serviced to ensure Elmhurst drivers that it's in the best condition possible. Certified pre-owned vehicles cost less than new vehicles, but still offers more recent model years and the latest in technology than a used car. At INFINITI of Clarendon Hills, we will ease the financial burden by providing multiple finance options, so you can rest easy knowing you're getting an incredible deal. 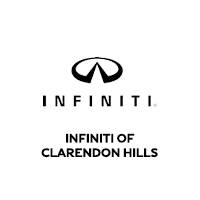 If you want a large selection of affordably priced certified cars for sale in Clarendon Hills, visit INFINITI of Clarendon Hills. Contact us today with any questions you have or to get the process started!